InnerSea Discoveries and American Safari Cruises, which brand under the name Un-Cruise Adventures, are offering 10 theme sailings in the Hawaiian Islands and Mexico’s Sea of Cortés next year. 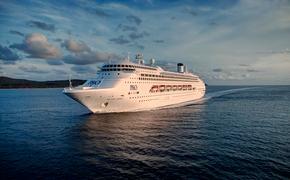 The photography and marine biology theme cruises will include an expert guest onboard for the week. Kids in Nature departures cater to families traveling with kids 12 and younger. The expedition team gears the program to a variety of ages and activity levels, including hiking excursions, kayaking trips, skiff explorations and snorkeling. The 2013 theme cruises in Hawaii include “Photography and Whales with Flip Nicklin,” a renowned whale photographer, departing Jan. 5; Kids in Nature departing March 9 and March 30; and photography with Peter West Carey, a professional photographer, April 6. Theme cruises in Mexico’s Sea of Cortés include marine biology with Rodrigo Rocha Gosselin, a La Paz resident passionate about conservation and nature, Jan 12; photography with professional photographer David Julian, Feb 16; photography with Ellen Barone, March 16; marine biology with oceanologist Giovanni Malagrino, March 30; and Kids in Nature, March 9 and March 23. The luxury seven-night Hawaii cruises on the 36-guest Safari Explorer sail between Hawaii, the Big Island and Lanai with two days of activities on Molokai. Flexible yacht itineraries focus on the leeward side of the eastern-most Hawaiian Islands with explorations of four islands -- Lanai, Molokai, Maui and Hawaii, the Big Island. In the Sea of Cortés, the 86-guest Safari Endeavour sails roundtrip from La Paz to Isla Espíritu Santo, Isla San Francisco, Bahia Agua Verde, Los Islotes and Loreto.